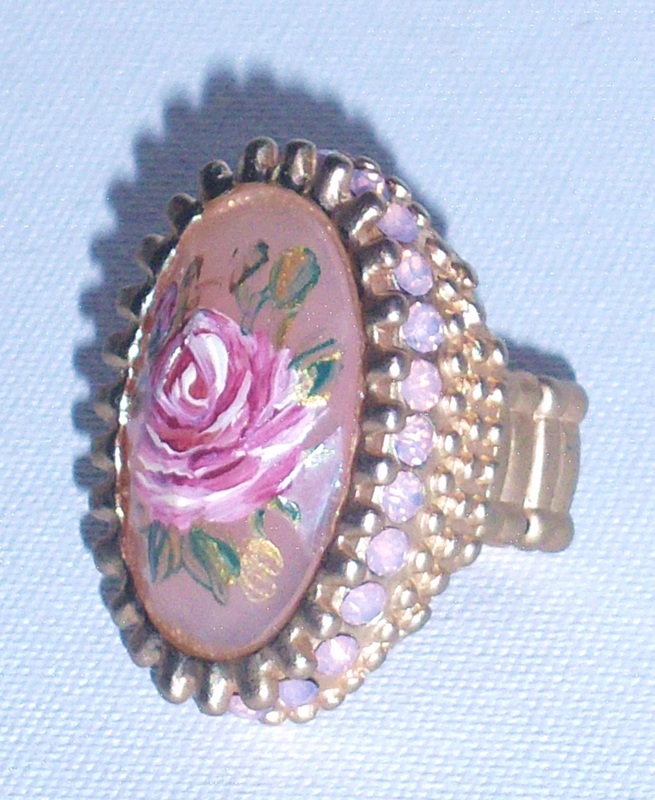 A beautiful ring with casual elegance, featuring hand-painted roses on a pale pink cabochon, framed with a brushed gold-plated frame! 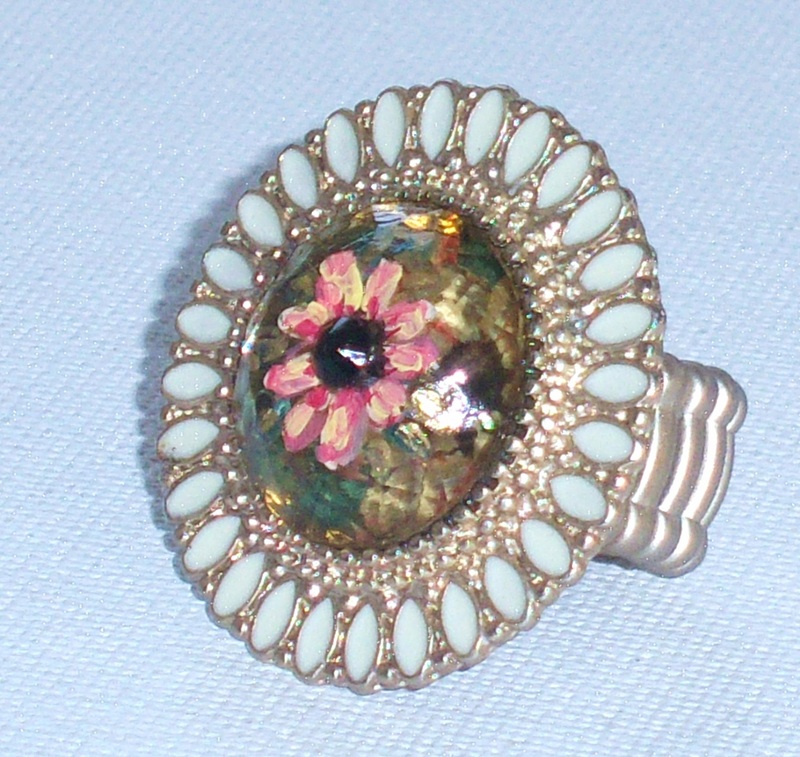 A pair of clear crystals add a little sparkle! 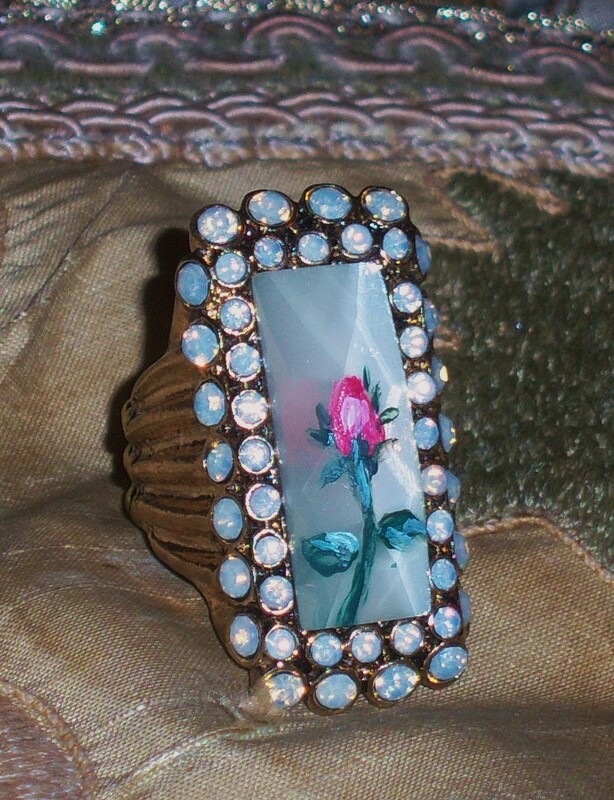 A gorgeous statement ring with shabby chic style, featuring a lovely painted rose on a faceted translucent pink cabochon, surrounded by pale pink rhinestones! 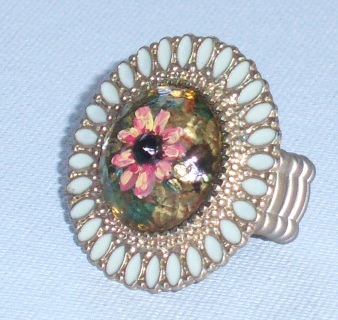 It's big enough to get noticed but not so large that it's uncomfortable...and it's adjustable too! 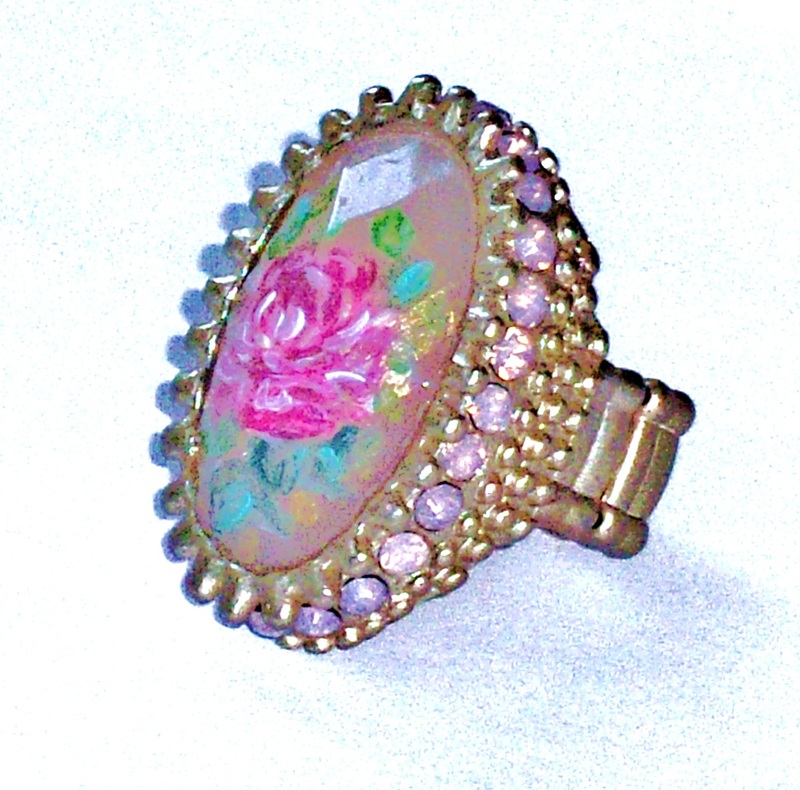 A feminine and flirty statement ring that has a funky, 60's vibe! 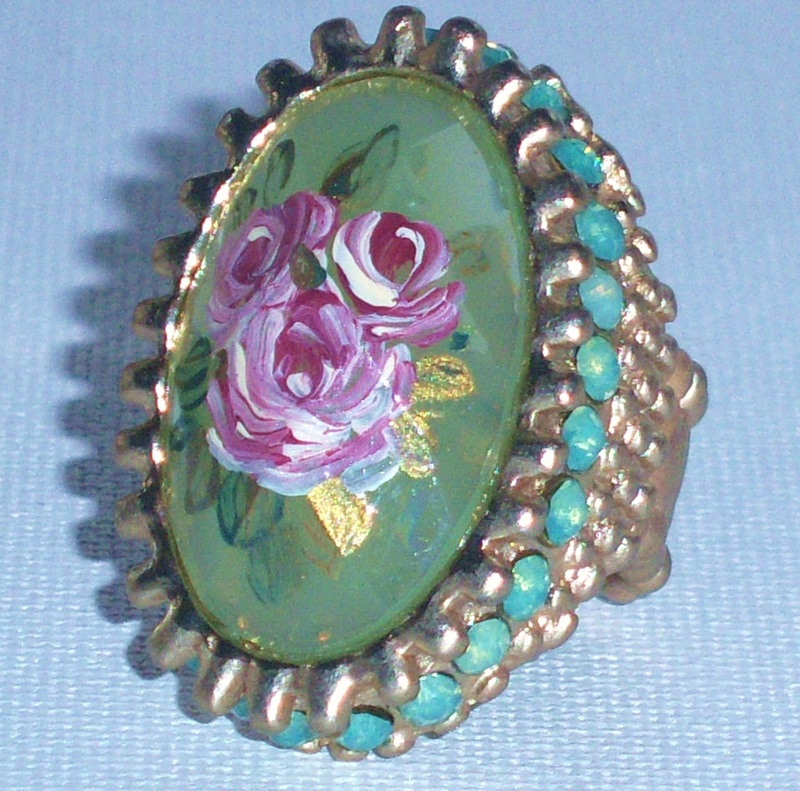 The painted floral artwork on top of the faceted golden cabochon is enhanced by the enameled petal-like frame that surrounds it! It's comfortable, too, since it is adjustable! 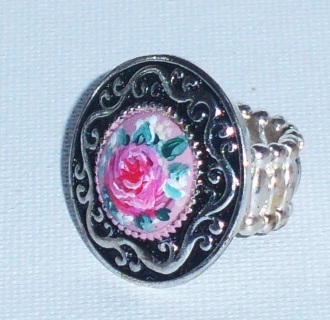 LOVELY ROSE RING A gorgeous statement ring with a BOHO chic charm! 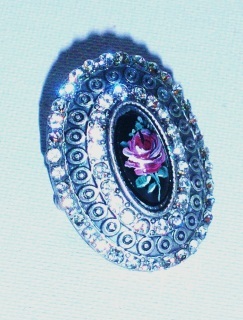 The mother of pearl center cabochon sets a lustrous background for the painted design of a rose in full bloom...the rhinestone frame adds some elegance and glam! 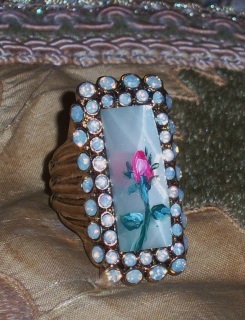 Almost kept this one! 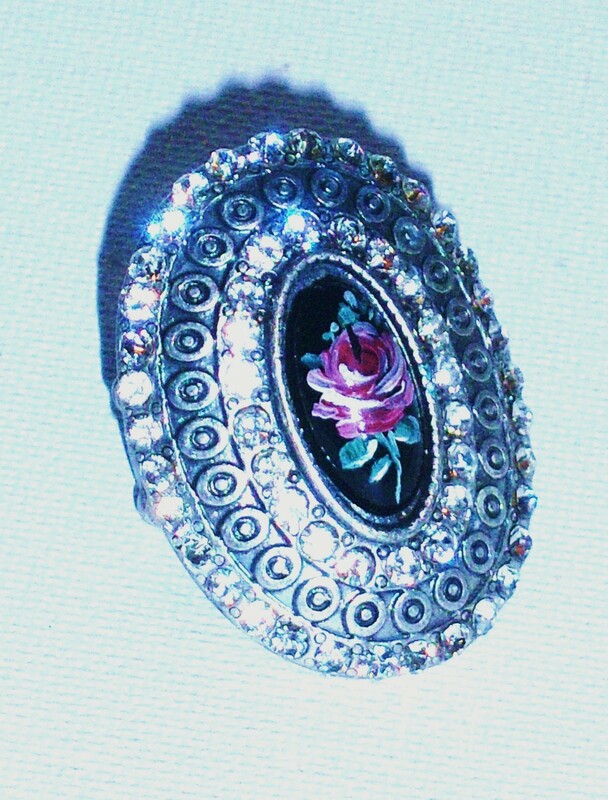 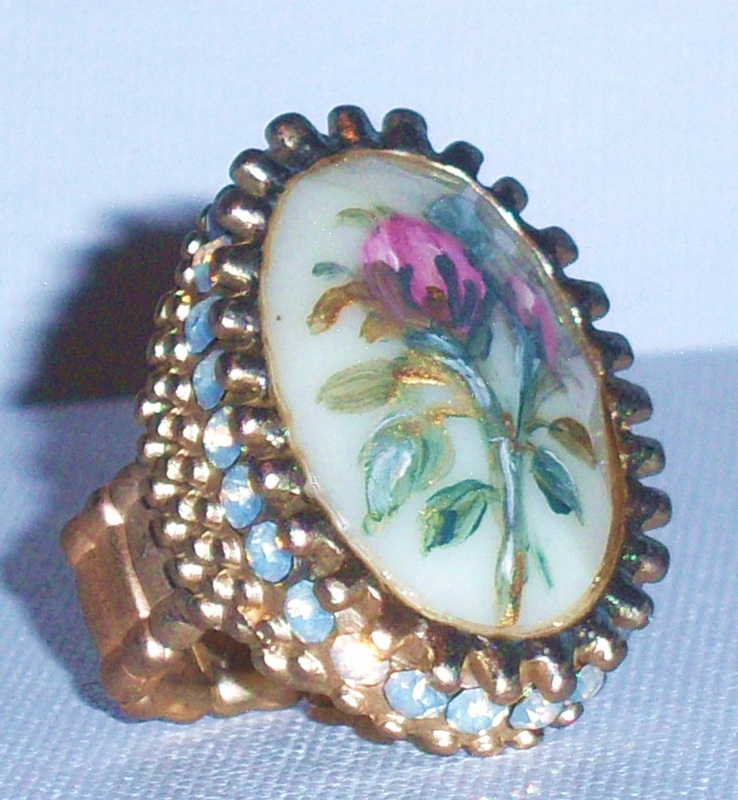 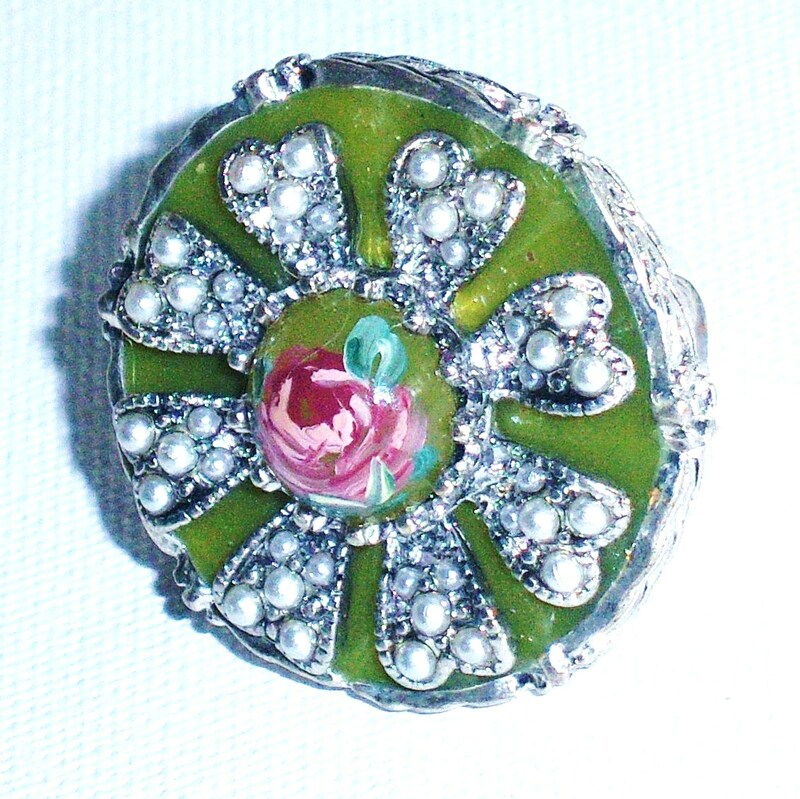 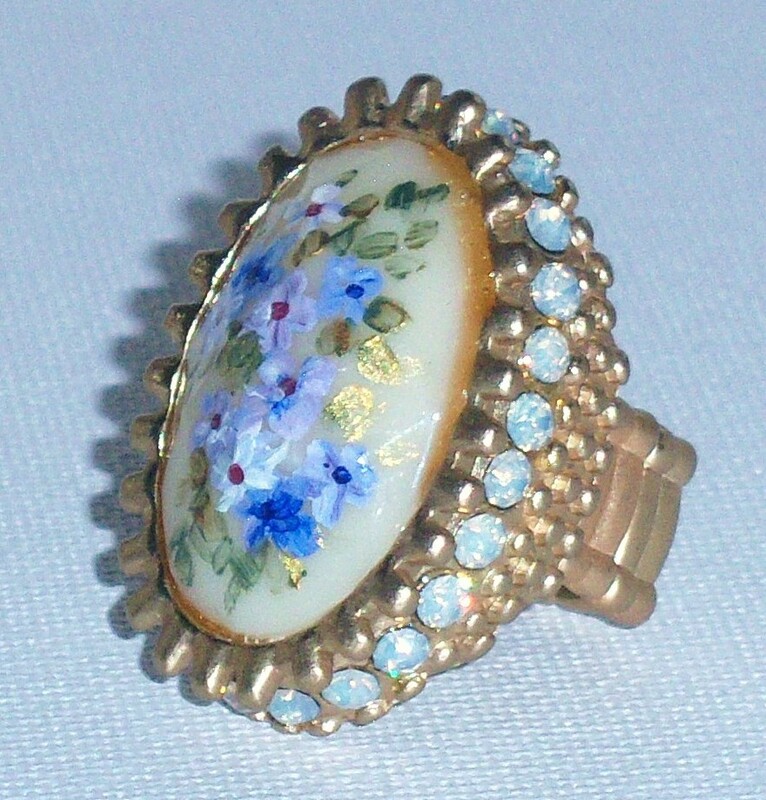 Adjustable Ring, Cabochon 1 1/4", Rhinestone frame 1 1/2"
ROSE ROMANCE A Romantic-inspired statement ring! The rhinestone-framed heart focal point features a luminescent mother-of-pearl center with dainty painted roses. An eye-catching and fun ring to add to your jewelry box! 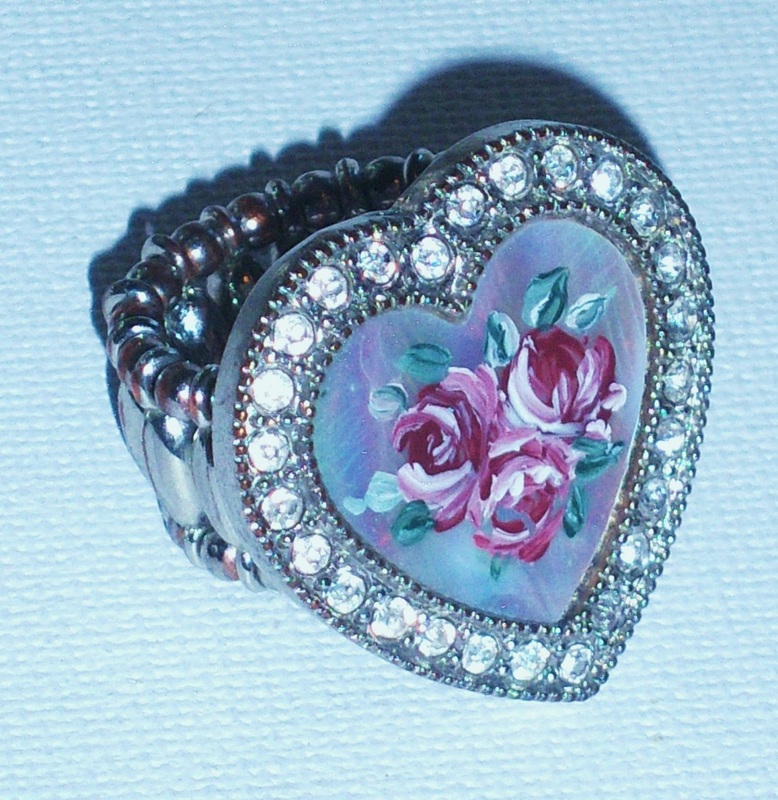 Heart 1 1/8" high, 1 1/8" wide, adjustable ring! This ring is an expression of BOHO elegance with its lustrous, iridescent rhinestones (a double row! 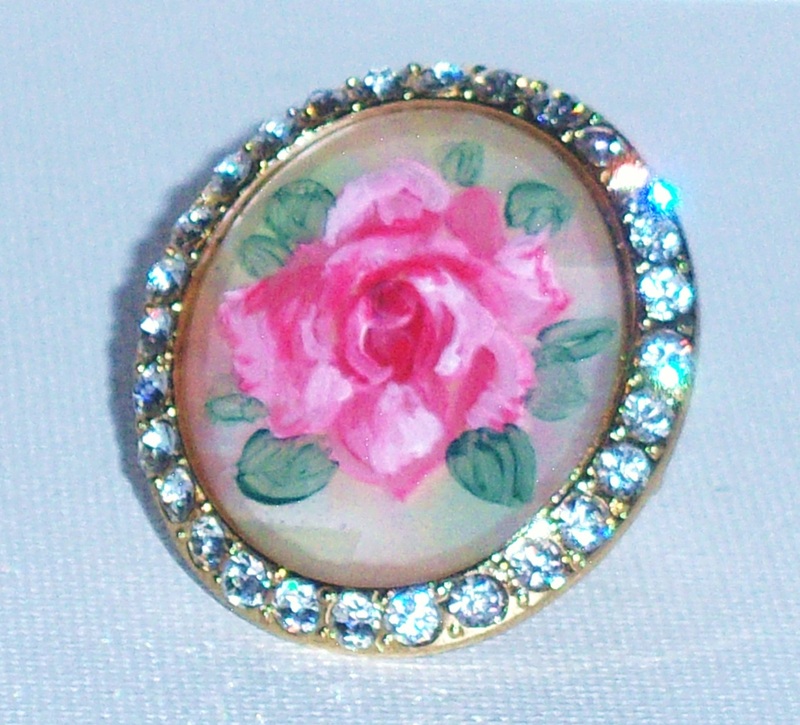 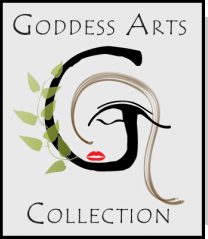 ), and the single painted rosebud design on the center cabochon...so pretty and unique! 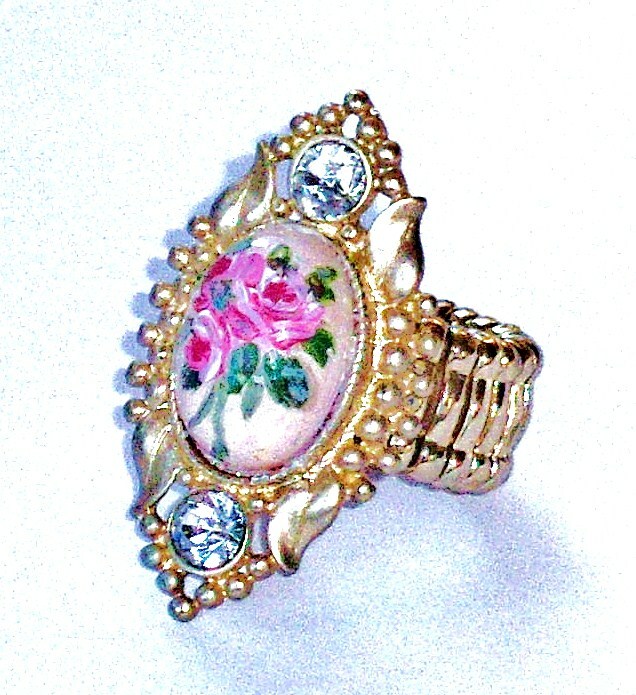 REGAL ROSE RING A regal ring with a feminine feel and a touch of Boho glam! The painted rose accents the cream-colored cabochon, and the pair of rhinestones, one above and one below, catch the light for a little drama! 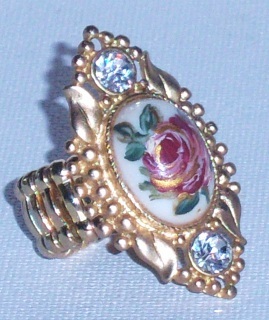 A "casually-elegant" and fun ring to wear!